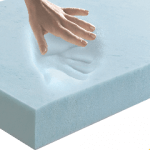 Therapedic’s Monterrey PillowTop Waterbed Insert. 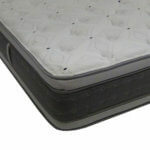 It’s our most magnificent mattress insert that drops right into your hardside waterbed frame. This double-sided euro top design will pamper you in layer after layer of medium soft cushioning for an unmatched feel. 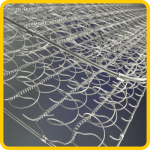 All of this luxurious upholstery is placed upon our most supportive steel coil system for firm core support. 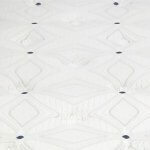 This replacement mattress allows you to still make use of your existing bed frame, headboard, and even drawer pedestal and or matching bedroom furniture. You need only to remove the heater and water mattress. It is intentionally fabricated to be slightly smaller than the empty cavity leaving enough room for your hands to make and tuck in your bedding. 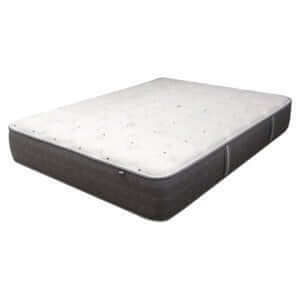 Unmatched construction, specially fit, and amazingly comfortable and supportive – what an advantage over purchasing an all new mattress set, bed and bedding. 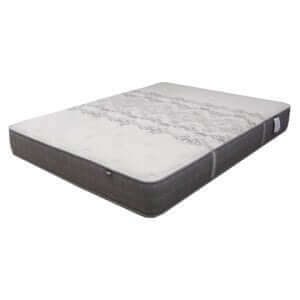 The firm support and cushy surface helps make the transition easier from your waterbed to a regular mattress. 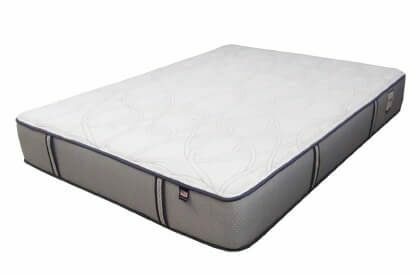 The softer cushier surface feel is similar to a waterbed, but with the extra strong support of steel coil springs give you the much needed support for your back and body. 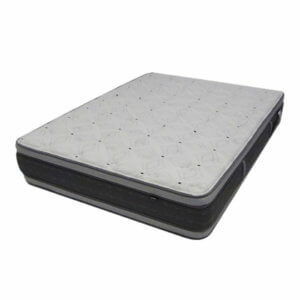 The deliberate old school 2-sided flippable design promotes more even mattress wear and extends the life with regular care. The profile is thick, making it easy to get in and out of the bed without climbing over the wood sides. Lastly, it is under cut 1 inch all the way around for the simple things like tucking in sheets. Coil Units have been modified for special construction. Counts may vary slightly. After sleeping on water for over 40 years, I thought we would try this PillowTop mattress insert after our water mattress sprung a leak. I was a little hesitant, since there were no reviews on this mattress, but our gamble payed off. A day or so after placing my order an associate from STL called verifying frame measurements, and describing what to expect in the mattress fit, feel and comfort. Granted, we’ve only been on the bed for a couple of weeks now, but were super happy with this purchase. 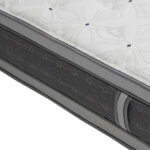 The mattress is super well made, with handles built into each side. My wife and I slid it into the bed frame with ease, and left the waterbed liner in the frame for mattress protection. The mattress fit perfect, and with the slight under-sizing, was easy to make up. With the 15 inch height, you never hit the bed frame getting in or out, and compared to water, is much easier to turn over at night, and get in and out of. Very comfortable, and very happy with this purchase, so far. 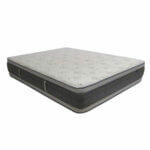 This waterbed pillow top mattress insert is AWESOME!! 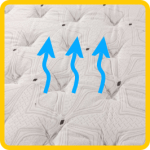 My husband and I have slept on a waterbed over 35 years and this change has been a blessing! The comfortable rest that we get now is a God send!! I wish we would have made the change sooner. The customer service I received from Doug, the owner was EXCELLENT!! I had placed the order early morning on the 4th of July and he personally called me on the holiday to go over my order in extreme detail to ensure I was getting exactly what I wanted and that all measurements were correct. He even took time to explain the delivery process, and assured me full satisfaction if there happened to be any damages during the shipping process. I recommend this company and this matteress for everyone!! After 30 years of sleeping on a waterbed, I finally convinced my husband it was time to change. I’m SO happy I found STL Beds! Their customer service is top notch; nothing but smooth and consistent communication from start to finish. Their product is of the highest quality. I love the way the mattress sits up high; I feel like a princess. The bed is Goldie Locks comfortable ~ not too hard, not too soft…it’s just right! I love not having to struggle to change positions; I love not sinking to the bottom of the bed when I’m the only one in it. My only regret is not doing this 20 years ago! 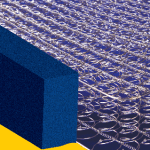 If you’re on the fence about replacing your waterbed, I highly suggest jumping over to STL Beds. You will NOT be sorry!